When to Outsource Your Accounting Services? Sustaining your accounts along with keeping an eye over rest of business affairs really becomes troublesome. It is really not easy to pay attention to both the aspects single-handedly. For maintaining your business as well as your accounts, all you need is to have accounted for outsourcing services. Now, some of you might have started thinking that you are doing quite well managing all the business activities. This is even possible, but only when the executive of the business holds great command over accounts management. In case you are running a start-up or a small-scale company, then it might not be a huge challenge for you, but yes if it is large-scaled then it’s good to go for outsourcing accounts assistance. Try analyzing yourself with below-mentioned signs that will make you realize that you are in need of hiring outsource accounting services for your business. Do you Spend More Time Doing Accounting than Running Your Business? Accounts and its maintenance are directly associated with the finances of your company. This fact is enough to make you realize its importance. In case, you set your business affairs at priority than managing accounts, obviously, it is going to adversely affect the financial condition and preservation of your company accounts. Don’t you Back Up Your Data? While managing your accounts, do you create a backup of all the data collected or processed? If not, then you need an expert’s guidance in doing so. By creating backup data you not just safeguards your financial records, but also can see the progress in your revenue and as well as on your account maintenance criteria. Are you committing Too Many Mistakes? You are done with preserving your accounts but still witnessing some omissions? This probably happens due to lack of concern towards preparing balance sheets and thus, you get differences in your accounts. These mistakes, not just occupy your priceless time, but also ruins the account management. So, it is wiser to go for an outsourced accountant who can handle out accounts for you in a better and speedy manner. Are you Still Using a Word Processor for Accounting? Maintaining your accounts over word processor? It seems you are not aware of different platforms which are far better and easier for your account maintenance. Working on word processor neither help in fastening your work nor auto corrects your minor mistakes which further converts into huge blunders. To have the best results, go for using openoffice.org, AbiWord, NeoOffice or Jarte for accounting instead of a word processor. You Don’t Have the Time to do Accounting? When you feel totally occupied or engaged with your business proceedings, it’s advisable to go for outsourcing in order to manage the finances of the company. 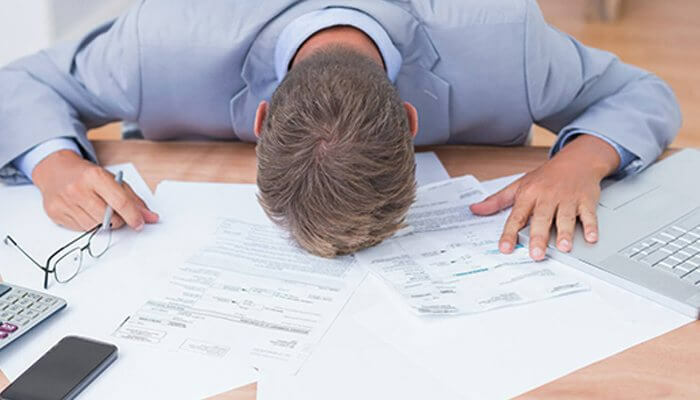 Even after having a hectic schedule, if you think of handling your accounts from your own, then you are just going to come up with highly disappointing results for your business. I hope these conditions are enough to notify you that you and your business is in need of outsourcing accounting services which obviously will give you commendable results with their expertise of knowledge and experience. Next Next post: How Bookkeeping Outsourcing Company Helps to Achieve Better ROI?